Creating a piece of historic art isn't as easy as one might think. Finding the antique is a journey in itself. Many of the most sought-after pieces are so coveted because of the rarity of the find. Since most architecture is destroyed when a building is demolished, and many authentic antiques just get buried away in some farmhouse or estate somewhere, locating these gems can prove very difficult. That's only the beginning for the potential masterpiece that will grace the showroom. Once it is located, it begins its journey to Round Top Texas where we clean and plan it into a creatively designed vignette in our store. You can view these pieces in person by visiting McLaren's, the antique store in Round Top Tx. We are proudly hosting our Fall antique show this year and presenting pieces that boast elegance and style. Once you find the piece you love, you will find the rest of the design in your home or office will focus around that piece. French furniture that features incredible detail and craftsmanship. For that once special piece that speaks to you, check out our extensive collection. Replacing your standard front door with a set of our beautiful antique doors offer a unique curb appeal to your home that you can bet will be original to you. Additionally, these doors can also be used as art pieces inside the home. Our antique store in Round Top, TX has something for every collector or designer, family or business. We have thousands of new additions arriving to turn your home into a work of art. Our new European leather seating collection pairs well with our French bookcases for the study, or even a professional's office. One of our architectural panels make stunning accent pieces and even focal points. Are you considering kitchen furnishings? Our beautiful kitchen islands are handcrafted in England from reclaimed pine. What does interior store mean to you? Does it mean a stuffy warehouse full of porcelain, area rugs, and modern pressed wood furniture? How about rolls upon rolls of carpeting and linoleum? 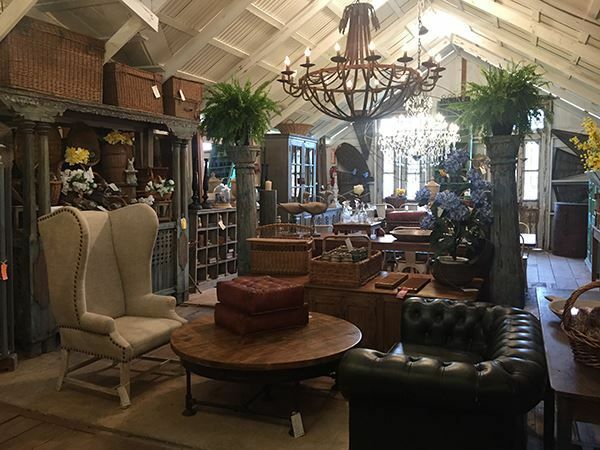 At our antique store in Round Top TX you won't find boring and mass-produced furniture. If you are looking for class, we have you covered. If you are looking for French design, we have you covered. If you are looking for Farmhouse shabby chic, yep, we have you covered. From exquisite to rustic, McLaren's vast inventory has something for even the most particular shopper. At the fall antique show Round Top TX, the new arrivals and exciting festivities offer a fun time for the whole family. Great finds come in from all over the world. One of our favorite items that can come in many different styles are our selection of sideboards. These will also be featured in our interior store in Round Top TX. These pieces have been selected for their quality, design, and style-just as all of our furniture has been handpicked for you. As mentioned, our pieces come from all over the world, and when you have the desire to change up your decor, we offer a competitive discount program that allows you to take advantage of our beautiful selection, with wholesale or trade in discounts. Sometimes we just get tired of our old stock and need a fresh look to enjoy. During the antique show Round Top TX, would be the perfect time to see all the new selections we have in our inventory. With over 20,000 square feet of quality items, you might need to bring the moving truck! Our repurposed London Bus Cafe has been artfully designed into a tasty bistro for an unforgettable dining experience. Lunch will be prepared and served on the bus, which has been crafted with tables and comfortable air conditioning. Additionally, to match the theme of the London Double Decker Bus, we will also offer English High Tea in a traditional British style, prepared with the purpose of our guests enjoying our unique festivities and entertainment. A second bus, (yes, another London Double Decker!) will be in complete running order for a classic English experience. The bus will take guests from our antique and interior design store in Round Top, then on to Warrenton, with a stop at Zapp Hall/Gin in Warrenton. Guests can join the tour by climbing aboard at either location, and enjoy the London Experience. This activity brings a sense of community and promotes the social aspect we are so often missing in our busy and tech-involved lifestyles. Come down with the whole family to our showroom and join us for our Fall Antique Show 'Festival'. Live music will be played by the talented Savannah Adkins, and everyone loves complimentary drinks! The antiques, art, and furnishings are at our store, patiently waiting for your arrival. One room at a time or a whole home at once can be arranged, remember to take any measurements you may need of room sizes or wall space so that you can be prepared to take your new pieces home. Often times we think we have enough space, and the wall is just a few inches too short, or the room a little too small for an item we have our heart set on. It is best to be prepared! Come join us for our antique show this fall!